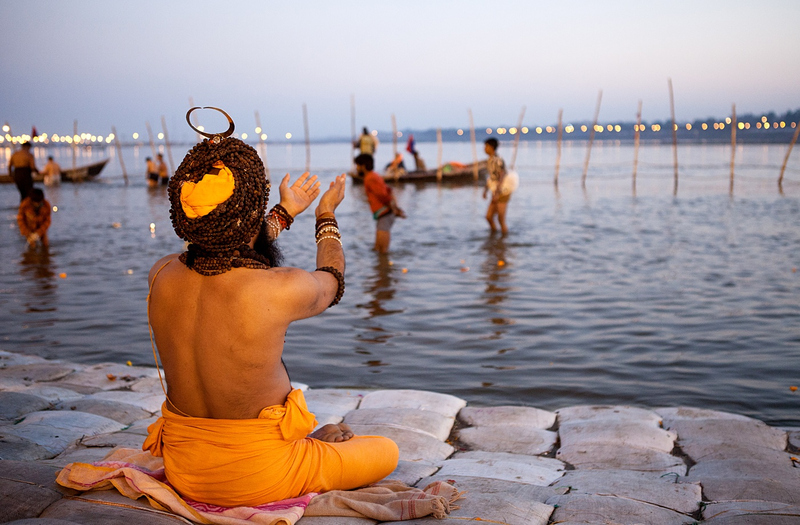 Allahabad Kumbh Mela 2019, a mega religious fair, will be conducted at the sacred Triveni Sangam where millions of devotees visit to give away all their worldly sins and desires and attain spiritual enlightenment. This mega event hosted every six years either in Allahabad or in Haridwar. Allahabad will host the fair in 2019 when Sun and Moon are in Capricorn and the Jupiter in Aries or Taurus in Magha, a Hindu month. People from across the globe reach Allahabad during this mega event to take a dip at the confluence of holy Rivers. This largest religious congregation will be taken place from January 15 to March 4, 2019. So, get ready to take a dip in the sacred water to wash away all your sins and achieve Nirvana. Nearly 80 million people participate in every Kumbh Mela making it one of the largest religious congregations in the world. There is no better way to experience the unique culture and tradition of India than visiting the Kumbh Mela. It is a wonderful opportunity to watch many rituals and religious ceremonies along with discussions and lectures about different religious topics. Many international networks such as BBC, CBS, and National Geographic Channel cover the highlights of Kumbh Mela. It is believed that taking a holy dip in sacred rivers during the Kumbh Mela wash away all the world sins and takes human out of the circle of life and death. The first shahi snan of the Ardh Kumbh Mela 2019 will be held on 15th January on the day of Makar Sankranti. The second royal bath, Paush Poornima will be taken place on January 21, 2019. This mega religious festival will witness its last shahi snan on March 4, 2019, on the day of Maha Shivratri festival. Mystical and mesmerizing, the ancient festival of Kumbh Mela is the largest gathering in the world for a religious purpose. The biggest spectacle of yogis, Kumbh Mela is a culture and tradition where the best and the worst of humanity gather, but also many sadhus of spiritual attainment. It is a great occasion to see the complexity and vibrancy of Indian culture. Takes on a rotation basis, Kumbh Mela happens every three years in one of the four holy places- on the banks of Ganges River in Haridwar, in Prayag at the confluence of the Ganges, Yamuna, the spiritual Saraswati River, on the banks of the Shipra River in Ujjain and the Godavari River in Nashik. The most auspicious Maha Kumbh Mela occurs once in twelve years in Prayag/Allahabad which attracts millions of people from different parts of the world. Kumbh is a Sanskrit word which means pitcher and Mela means fair or festival and Kumbh Mela associated with Hindu Mythology. Sadhus and many other holy men throng at the venue in order to achieve spiritual enlightenment. 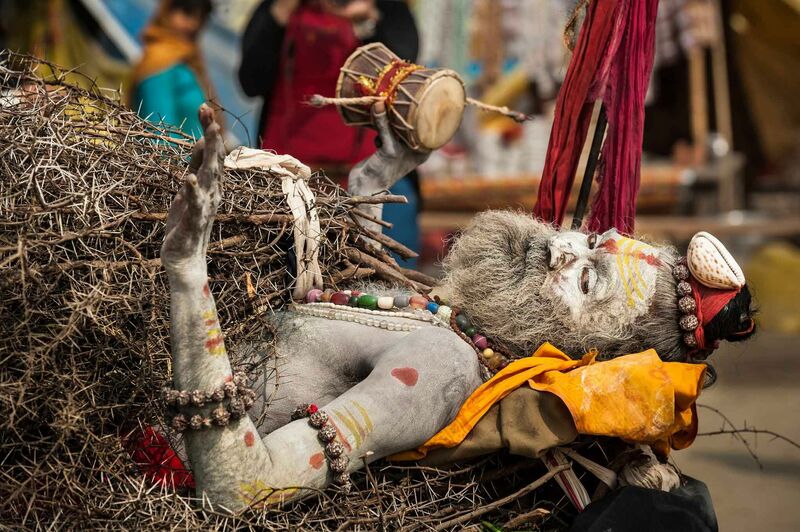 The different types of sadhus who attend the rituals include the Nagas, the naked sadhus with long matted hair and smear their bodies with ash, Urdhwavahurs with emaciated bodies due to firm spiritual practices, Parivajakas who have taken a vow of silence and Kalpvasis who take baths several times in a day. A ritual bath is an integral part of Ardh Kumbh Mela and devotees believe that taking a dip in the sacred waters especially on the most auspicious day of the new moon can wash away all their worldly sins. They start lining up to take this holy bath from around 3 am on the new moon day with the belief that it can end their cycle of rebirth and attain salvation. 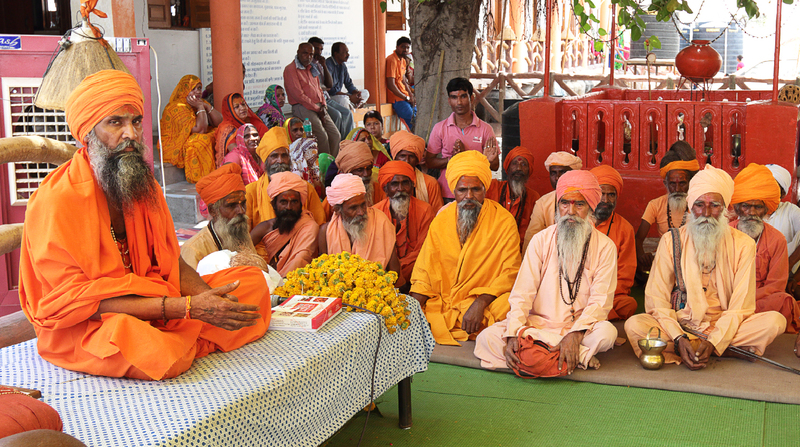 The pilgrims wear fresh clothes after taking the bath in the Holy River and process to worship and listen to the discourses from different sadhus. Kumbh Mela is magical and spiritual and participating in it can be an unforgettable lifetime experience. Millions of devotees and amazing saints of great accomplishment from across India attend the Mela as they believe that the water of Ganges is charged with numerous positive healing effects at the time of Kumbh Yog. 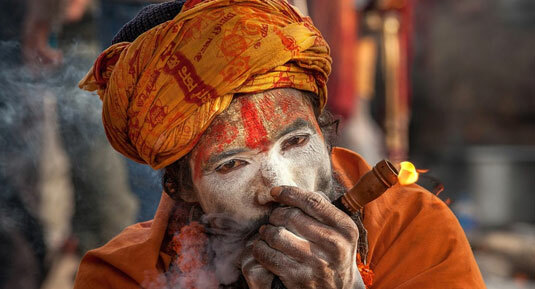 Many globetrotters and ardent worshippers of Indian culture can be a part of this mesmerizing meeting of spiritual minds at the Kumbh Mela, one of the most amazing sights in the world. 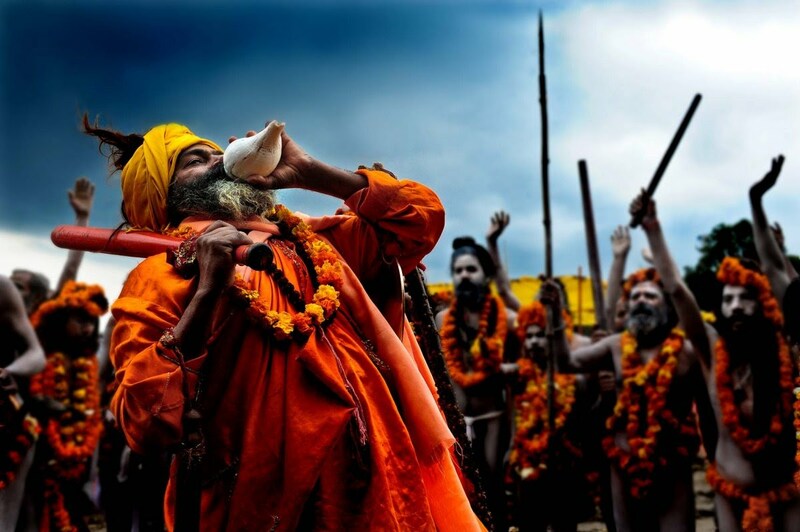 Kumbh Mela is a religious carnival of India that attends so many sages and sadhus in saffron outfits. Numerous pilgrims, tourists and foreign & nationals will reach Allahabad during the Ardh Kumbh Mela 2019 to be a part of a great festival. The Mela will take place at the confluence of three rivers, the Ganges, Yamuna, and Saraswati. Kumbh Mela has been celebrated for centuries and this festival is associated with Hindu mythology. The origin of this grand festival related to the Samudra Manthan incident. According to Puranas, the demigods and demons fought over for the immortal pot of nectar. A few drops of elixir fell down from the pot during the fight at four different places on the earth, Allahabad, Haridwar, Ujjain and Nasik. The grand festival of Kumba Mela celebrated in any of these four places every three years. Traveling in the incredible country of India is a thrilling experience like a roller-coaster ride. It is a unique country with one of the most vivid and richest histories and heritage. Renowned for plenty of things from its diversity to yoga and from its rich past to amazing travel destinations, India attracts travelers from across the globe. The way of celebrating festivals is another unique feature of this astonishing country. With diverse cultural and religious backgrounds, India celebrates festivals of different tastes, types, and colors. These festivals are something unique to experience which makes your trip to India an unforgettable experience. Kumbh Mela is one such great cultural festival in India which is also considered as the largest religious congregation in the world. Ardh Kumbh Mela held every six years either at Allahabad or Haridwar while Purna Kumbh Mela held only at Allahabad every 12 years. This significant Hindu religious festival is also a source of inspiration for different styles and trends. Visitors can experience many interesting things during this grand festival. Kumbh Mela is an internationally acclaimed festival that held on the banks of the sacred River Ganges. 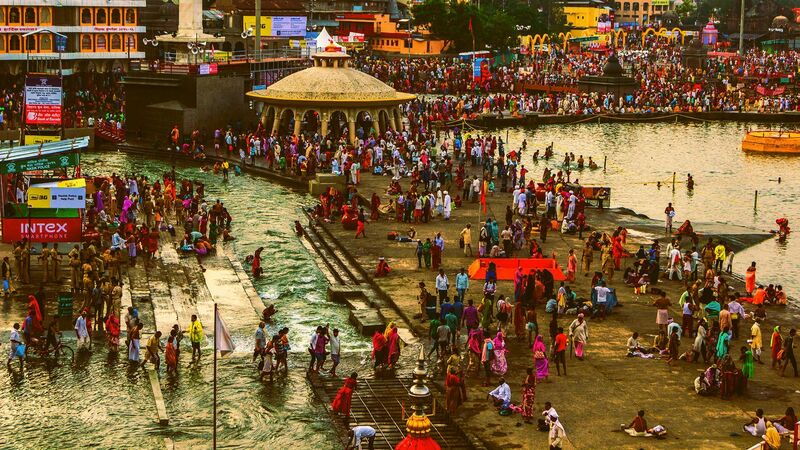 Millions of pilgrims and tourists visit this place to take a dip in the holy water of River Ganges to get rid of the cycle of birth and death. Even though the main purpose of visiting Allahabad during this Mela is to take a dip, it offers many attractions. So, get ready to witness the largest human gathering ever for a once-in-a-lifetime experience. Kumbh Mela 2019 is an auspicious event held in Allahabad where people reach to take the sacred bath in the holy river Ganges. It is a one and a half month festival but certain days of it is considered more sacred and royal than others. 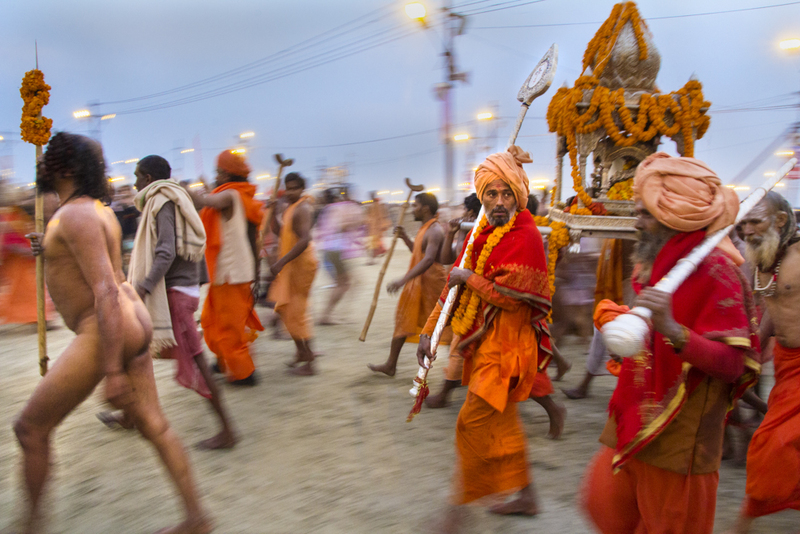 Saints of different religious groups reach the Kumbh Mela to take the royal bath or shahi snan in the sacred River Ganges. These saints and sadhus take the dip first as a part of the ritual. The Naga sadhus bath and parade during the royal days without wearing a single piece of cloth. Common men can take the bath only after these saints and sadhus have taken the bath. 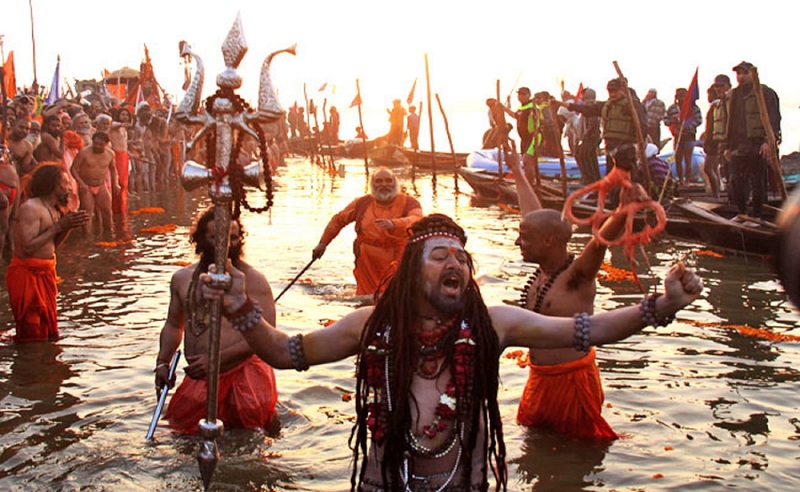 Nagas and Sadhus gather at the river banks of Allahabad before sunrise on the new moon day for the dip. 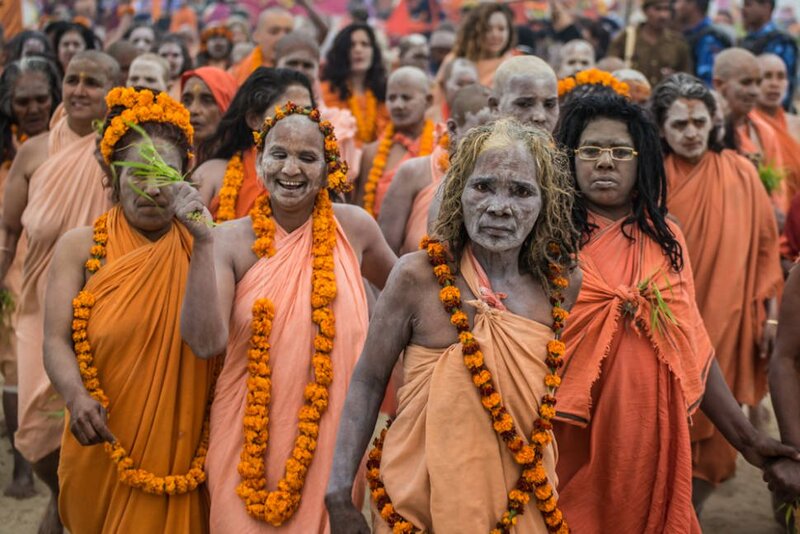 People from across the world reach the Kumbh Mela to attend this mega event with utmost devotion. Apart from the sacred bath, this Mela conducts several rituals and participants can witness them. The Mela conducts mass-feeding of the poor, religious discussions and devotional singing. You can also watch active debates on religious doctrines. Blissful darshan of yogis and sadhus are another great attraction of Kumbh Mela. The entire atmosphere of this mega event is wrapped up with mysticism and spiritual sanctity. 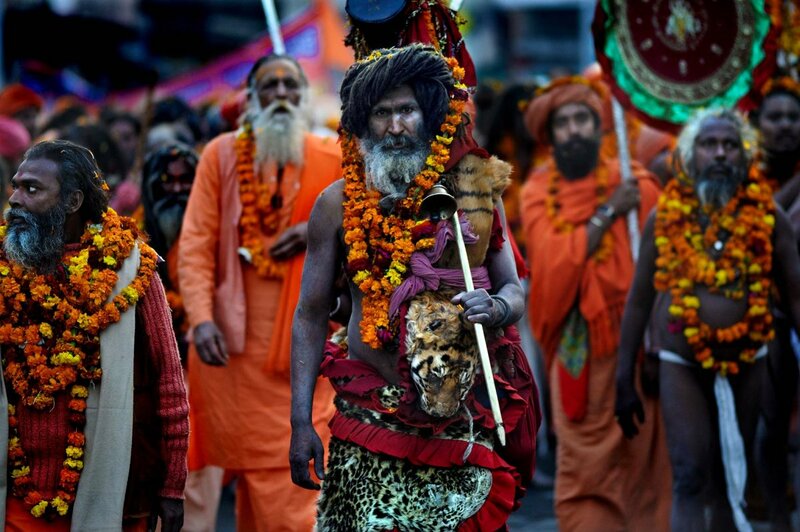 Sadhus, Nagas, and saints are seen in large number during the event of Kumbh Mela. These sadhus perform religious practices in a place of the meeting called Akhara. The saints who are part of different religious groups are sometimes seen with the naked body, matted hair and in saffron clothes. You will be able to watch them and get an idea about their religious practices during the Ardh Kumbh Mela held in Allahabad in 2019. The saints, yogis, and sadhus present in the Kumbh Mela enhance its holiness and listen to their speeches help to achieve spiritual enlightenment. 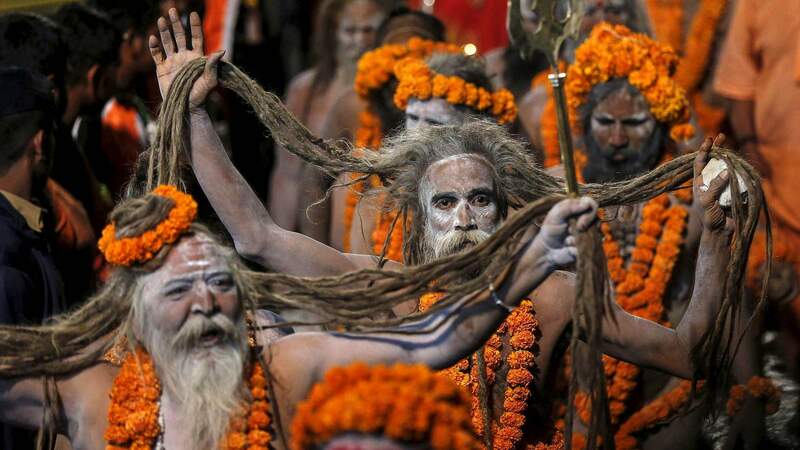 Naga sadhus or Hindu holy men attend the first “Shahi Snan” (grand bath) at every “Kumbh Mela”, or Pitcher Festival. During the festival, Hindus take part in a religious gathering on the banks of the river Ganges. Nagas are the naked holy men of India who engage themselves in the abandonment of the world in search of equilibrium. Leading a non-materialistic life, Naga sadhus follow some strict practices such as celibacy to escape all worldly sufferings. The unique appearance such as a body covered in ashes and matted locks of hair make them stand apart from the crowd. 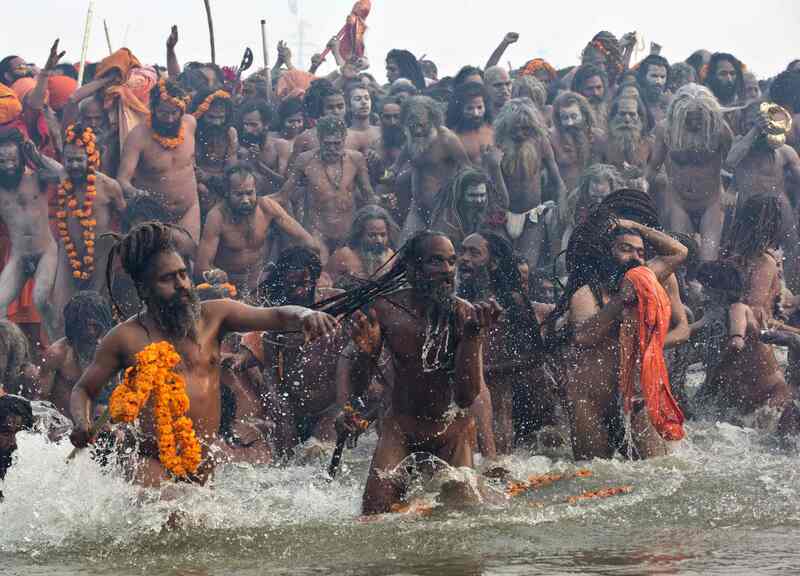 They are among the first to take holy bath in the sacred rivers of Allahabad in Kumbh Mela 2019. You can easily recognize Urdhwavahurs because of their born-thin body due to rigid spiritual practices. They let their bodies undergo different austerities to perform rituals. Another type of saints that you can see in the Kumbh Mela is Parivajakash. These saints never speak as they have taken the oath to not to do so. They ring the bell that they carry for informing their presence to people. They are a well-known sage group who spend their time by meditating and carry out different spiritual activities. A great feature of these saints is that they bath several times in a day in the river water for keeping themselves clean. Shirshasinse is quite different from other saint groups. They sleep and meditate in a unique way that makes them stand apart from others. They sleep in an upright position with the help of a wall or a pole and they stand on their heads for meditating. Even though there are plenty of accommodation options available in Allahabad to make your trip comfortable and convenient. The real excitement and best experience of Kumbh Mela will get if you opt to stay in a tent set up along the river bank. It is a great way to get an idea about the lives of the saints and sadhus. Besides, it helps you to know more about the Hindu religion. You can interact with people belonging to different places and get glimpses of their lifestyle by opting to stay in a camp at the Mela. International travelers can choose one of the tents set up especially for them to get the authentic feel of the event. Satsangs are a major attraction of Kumbh Mela which help devotees to open up their heart and make their mind quiet and at peace. You can see many halls and ashrams at Kumbh Mela where devotees can listen to the yogis and sadhus and offer their prayers. Listening to the speeches of them can be a great way to get a deep knowledge about the Hindu religion. Many people who come to the Mela attend these satsangs and take photos of the sadhus with their permission. You will get permission for photography if you approach them with respect and humility. People who visit Allahabad for Ardh Kumbh Mela can taste delicious communal meal called langar and prasad. Devotees who reach this destination from other states and countries will get the chance to taste many local delicacies such as samosa, kachauri, lassi and different types of namkeens. You can enjoy delicious meals at the community area free of cost. It is a good idea for people to visit this hall and interact with people and watch varieties of food items. The tourism department organizes stalls and food walks at this great religious fair for the visitors. Kumbh Mela is a mystical event that offers many unforgettable things to its visitors. Perhaps, for this reason, people from across the globe visit this large religious carnival. Kumbh Mela is not just about taking a dip at the holy Ganges but is a glorious sight to watch particularly at night. It shall be breathtaking to watch the marvelous vistas at night from the Triveni Ghat. Visiting the Mela during night hours is more convenient as the daytime in this area can be crowded. The cool breeze from the river at night gives each visitor a refreshing feel. So, do not miss out the chance to enjoy the beauty of Kumbh Mela at night. Enjoy the mystical charm of Kumbh Mela shall be an unforgettable experience for each visitor. People who belong to the Hindu religion wish to participate in this mega event at least once in their lifetime. You can indulge in plenty of activities during your trip to Kumbh Mela such as attending lectures, practice special yoga classes and participate in different cultural programs. These things help devotees to uplift their spirits and enlighten their soul. Visitors can meet many sadhus, preachers and Hindu spiritual leaders in one place by participating in the Kumbh Mela. 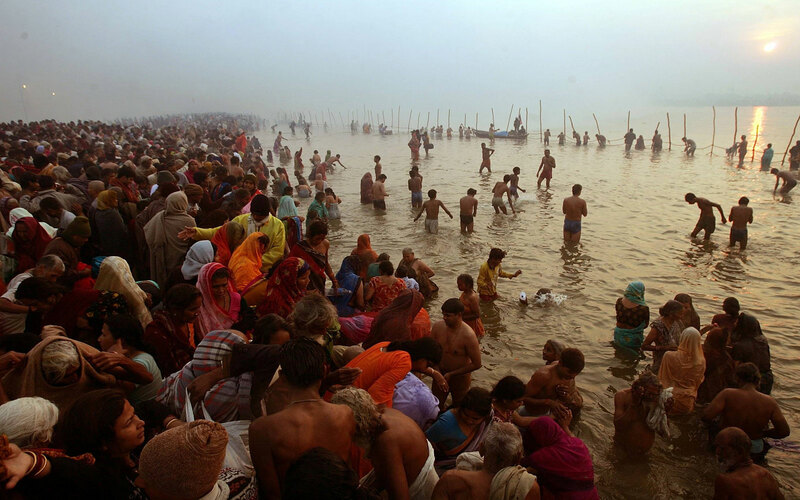 Millions of souls come to be a part of the Kumbh Mela, the largest pilgrimage festival in the world, to take a dip in the holy water at the Triveni Sangam and to offer prayers. People who visit Allahabad in 2019 to participate in this mega religious fair can also visit the major attractions in the city. Allahabad is a holy place due to the presence of the confluence of three sacred rivers, Ganga, Yamuna, and the mythical Saraswati. It is one of the four places where the mega religious event, Kumbh Mela, takes place. There are many attractions in Allahabad apart from the divine Triveni Sangam. People who visit the Mela also love to explore these attractions like the Ashoka Pillar, Mankameshwar, Hanuman Mandir and several fantastic architectural marvels. Popular as a well-known religious site for pilgrims, a lot of people visit the Prayag, Allahabad to take a holy dip in the Triveni Sangam. Devotees take the dip with the belief that it can wash away all their worldly sins and can attain salvation. Travelers love to explore the beautiful architectures of the destination that they visit be it for holidays or pilgrimage. 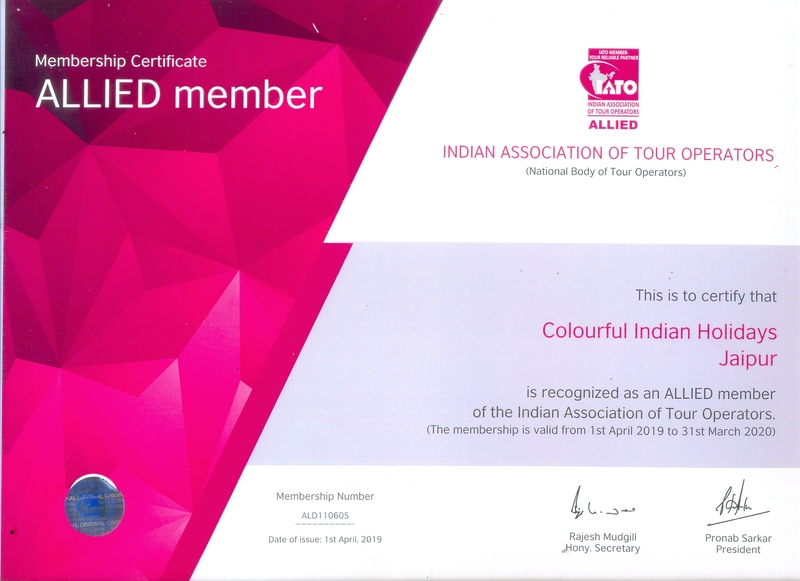 Allahabad is known for several majestic architectural splendors and exploring them shall be an outstanding experience for each visitor. 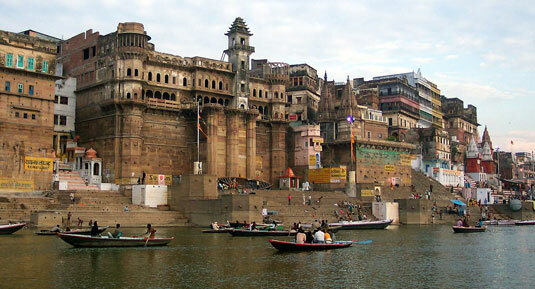 Allahabad Fort is a must-visit attraction in this destination on the banks of River Yamuna. 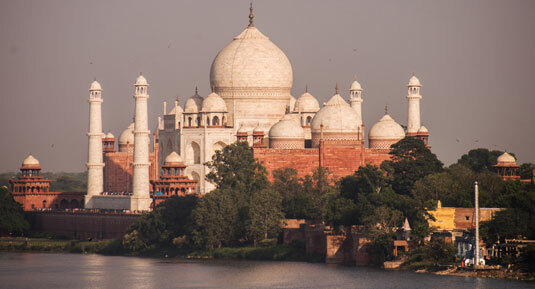 This majestic structure was built by a Mughal Emperor in 1583. Visit this monument of national importance during your trip to Allahabad for the Kumbh Mela event. Hanuman Mandir is another must-visit tourist attraction in Allahabad, each pilgrim to the Kumbh Mela ensures to visit this temple to enlighten their soul. The resting idol of Lord Hanuman is the prime feature of this temple. Located near the Allahabad Fort, this it is the only temple where you can see Lord Hanuman in a reclined posture. This temple used to gets submerged when the water levels of the River Ganges rises up. Include the Hanuman Temple in your travel itinerary during your pilgrim tour to Allahabad. The ancient Someshwar Mahadev Temple is another holy site in Allahabad which lies opposite to the renowned Allahabad Fort across the holy River Yamuna. Dedicated to Lord Shiva, this temple is considered as the site of Ekadaksha Rudra. People who wish to explore the holy places in Allahabad ensure to include this temple in their travel itinerary. People who visit Allahabad prefer to explore its beautiful attractions and holy sites. Patalpuri Temple is a must-visit attraction in this city which located in the Allahabad Fort. An Undying banyan tree also referred to as the ‘Akshayavat’ is another attraction of this destination. 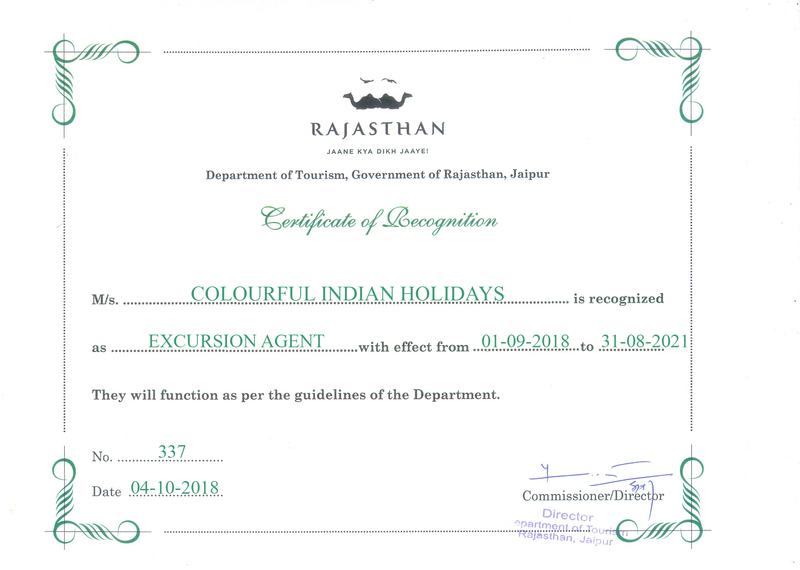 Travelers who wish to visit both these tourist spots need to take prior permission from the Allahabad Tourist Office or the Ordinance Depot. Dedicated to Nag Basuki, the Nag Basuki Temple is another popular shrine in Allahabad. A fair is held every year near this temple during the auspicious occasion of Nag Panchami. The name of this temple mentioned even in the Puranas. Visiting this temple shall be a beautiful experience for each pilgrim to Allahabad. Shankar Viman Mandapam is a 130-feet temple in Allahabad located on the bank of River Ganga. Built by Shri Kanchi Kamkoti Peeth, this temple attracts travelers with its South-Indian style architecture. This magnificent temple with four stories stands on 16 strong pillars. Shankar Viman Mandapam is a modern temple worth visiting during your visit to the Kumbh Mela 2019. Visiting the historic house museum of Anand Bhavan shall be a pleasant experience for each visitor to Allahabad. It was the ancestral home of Jawaharlal Nehru and the home to Indira Gandhi. She donated this beautiful structure to the Indian Government in 1970. It is now transformed into a well-maintained museum. You can see many belongings to Indira Gandhi and her family in this museum. Located at Attarsuiya, the Kalyani Devi Temple is another attraction in Allahabad. Also known as Mahashakti Siddhpeeth, the idol of this temple devoted to Lalitha Devi and Kalyani Devi is believed to be more than 1500 years old. 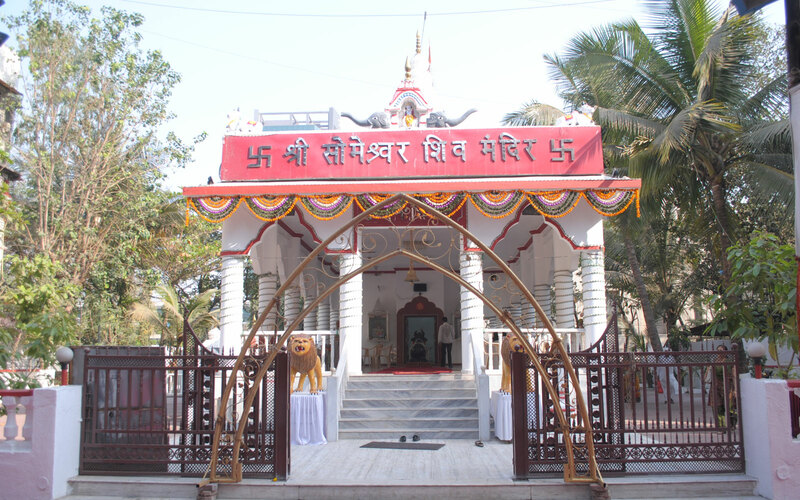 It is also one of the 51 sacred Shaktipeeths in the country. Visit this temple if you plan to participate in the Ardh Kumbh Mela 2019. The historical monument of Ashok Pillar located outside the Allahabad Fort is a must-visit destination near the Kumbh Mela venue. Built in the 16th century by Akbar, this pillar made attractive with the inscriptions from Emperor Ashoka and Samudragupta. People who visit Allahabad during the Kumbh Mela 2019 should include this tourist attraction in their travel itinerary for a memorable travel experience. People who visit Allahabad for Kumbh Mela can also visit the sacred religious destinations in the vicinity. There are many beautiful nearby places worth visiting during your pilgrimage trip to Allahabad. The top religious destinations near Kumbh Mela venue are Ayodhya, Varanasi, Rishikesh, Sarnath, Ujjain, and Gaya. Take a look at the sacred destinations near Allahabad that you can include in your bucket list during your trip to Kumbh Mela. 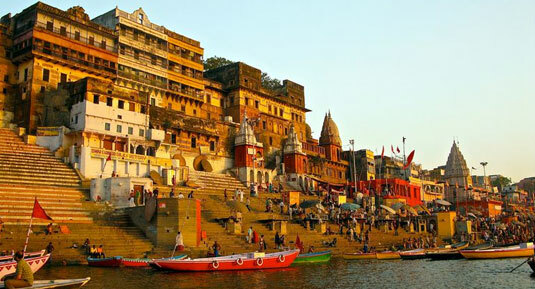 Every person belongs to the Hindu religion desires to visit the holy city of Varanasi at least once in his or her life. 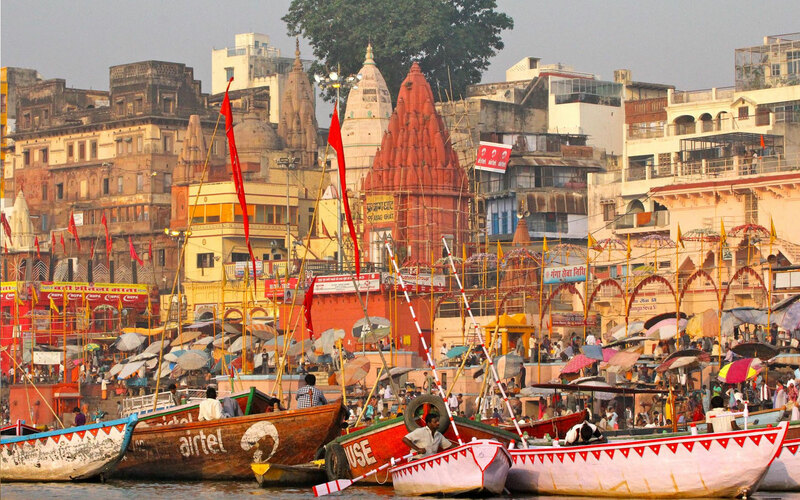 Also known as Banaras or Kashi, this ancient city is among the oldest inhabited cities in the world. This vibrant city lies on the bank of River Ganges is known for its temples and ghats. It is interesting to know that Varanasi is home to around 23000 temples of different sizes and shape. Travelers to this city can watch many sadhus and yogis in bizarre attires in this holy city. Varanasi is not just a religious city but also an industrial hub known for its silk fabrics, muslins, sculptures, perfumes and ivory works. Even though the holy city of Ayodhya is controversial, it is one of the seven most important religious sites for Hindus. It is the birthplace of the divine deity Rama but has been an infamous place for more than two decades. Once you visit this holy site, you can see Hindus chanting the stories of Ramayana. 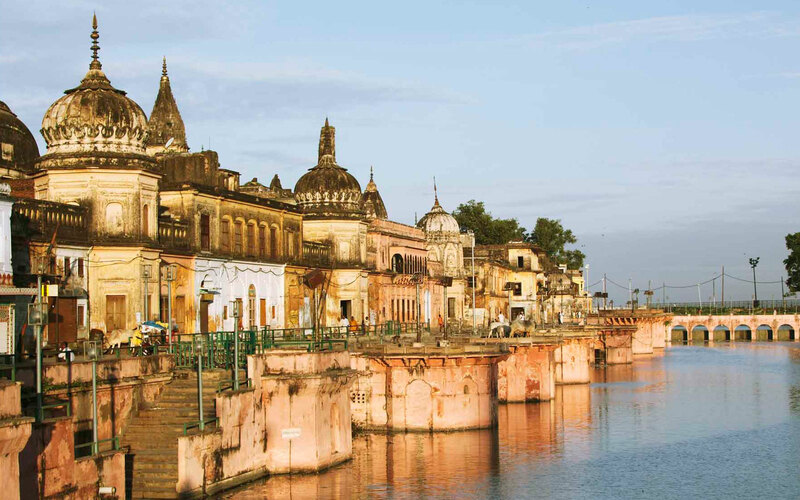 Located on the banks of the River Sarayu, Ayodhya is dotted with several temples ideal for people who look for a pilgrimage tour. Sarnath is a holy site for the Buddhists ideal to visit if you plan to participate in the religious congregation of Kumbh Mela. It is a small village in Utter Pradesh located near the Ganga and Varuna rivers. 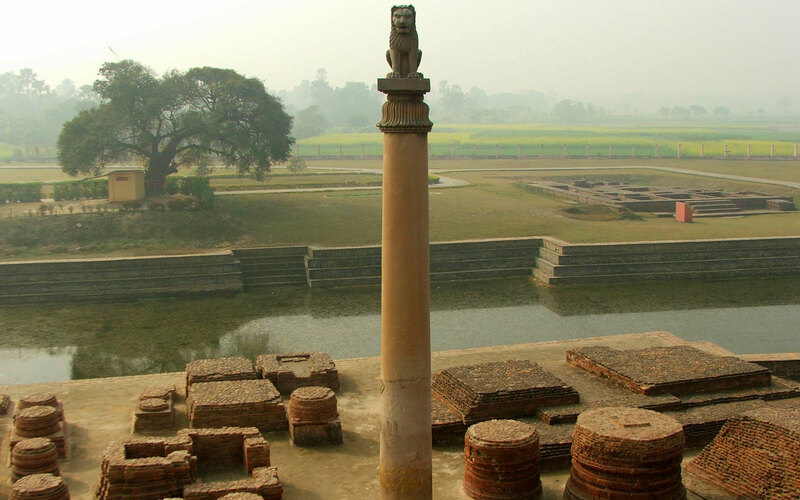 There is a deer park in this destination where Gautama Buddha preached dharma for the first time after attaining enlightenment at Bodh Gaya. 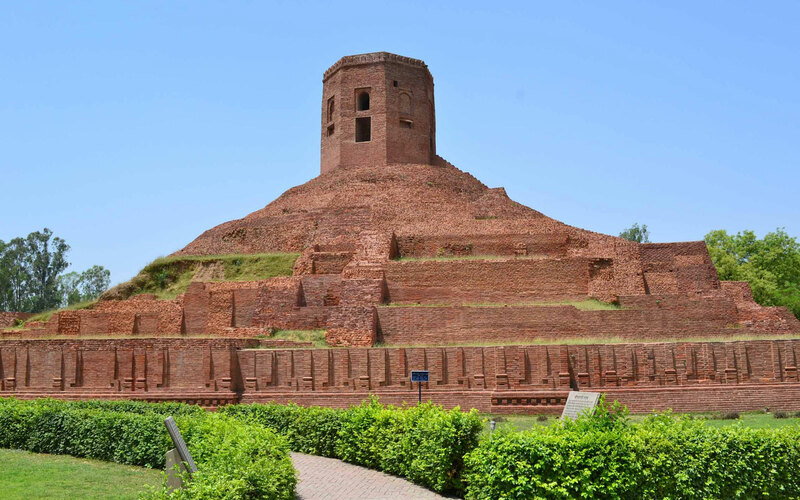 Another reason for the popularity of Sarnath is that it is the place where Sangha was first formed. Don’t miss the chance to be part of one of the holiest and largest spiritual gathering of the world. 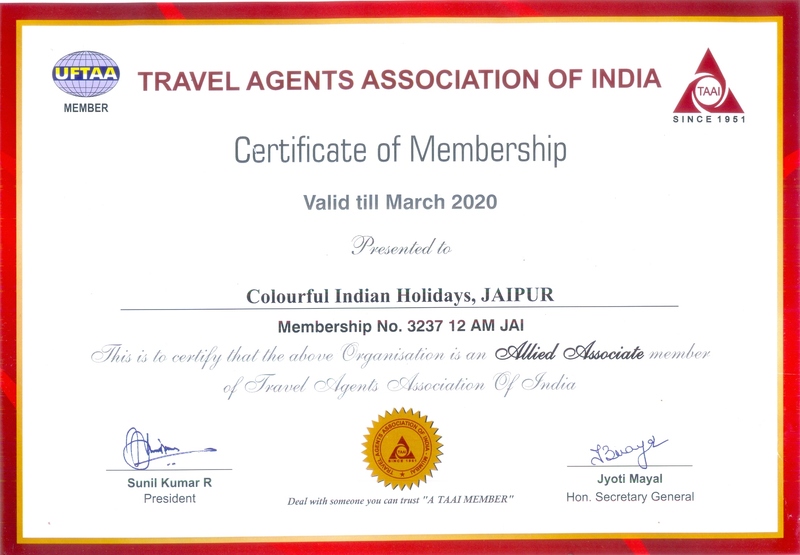 Colourful Indian Holidays have special customized budget tour packages for the Ardh Kumbh Mela. Plan a spiritual tour to Kumbh Mela, one of the biggest religious fairs with Colourful Indian Holidays – India Tour Operator and feel blessed. Get your free quote today. Can’t wait to see you at Allahabad Kumbh Mela 2019!